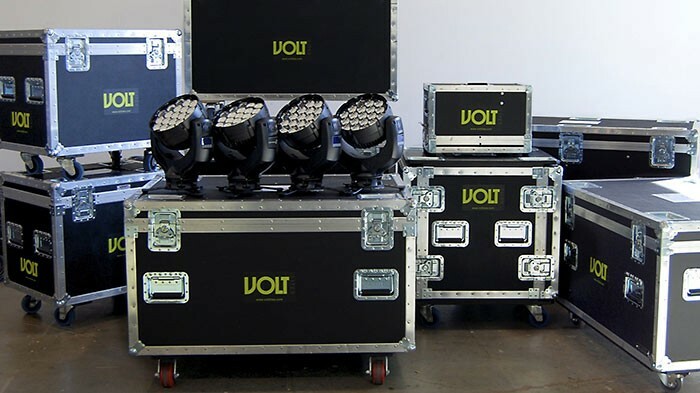 Back in May 2010, Californian based lighting designer Matthew Shimamoto set up his rental company Volt Lites, with a view to addressing a number of different market sectors. Based north of Los Angeles, he quickly established the company in the international touring and corporate worlds, having subsequently worked on live TV shows, music videos and numerous special events. As a designer, he had often used fixtures from GLP’s LED impression range – but it was with the launch of the new impression X4 LED moving head that he took the decision to invest in a product which combines power, flexibility and practicality in a unique design. Incorporating 19 powerful quad color RGBW LEDs, each rated at 15W, the impression X4 offers a single homogenised colour output from its front lens across a wide spectrum – from deep saturates through to soft pastel shades – by incorporating more of the white LED element. Prior to purchasing, they decided to trial some of the fixtures on a new TV show that is set to air this month. “We already knew the X4 looked great to the human eye, but we needed to see how they looked under the scrutinising eye of the camera – and they performed exceptionally well,” he confirmed. The impression range has always been a firm favourite of the designer, due to its size, output and overall sleek design. “We love the fact that the X4 is the same size and shape as the Impression 120 RZ. The bug-eyed lenses and homogenised beam are crucial elements of its success. Adding the white channel and a fantastic zoom range helped make the decision to purchase these fixtures that much easier,” Matthew continued. In fact some of the units were deployed the first day that Volt Lites took ownership. Summarising the benefits of the impressions X4, the Volt Lites director points to the homogenised beam and uniform lens colour as being the clear winners. “This makes the X4 a true wash light – and the wide range of beam sizes available from the zoom simply reinforces its role as a usable wash source. The introduction of the white LED allows us to use the fixture in a more TV friendly environment and the light weight and small footprint of the X4 enables the fixture to be placed in a variety of positions.